This will be my first time posting these ideas, since being called into my ward's Young Women Presidency. I am so excited for this opportunity to serve the amazing YOUTH!! “May the kingdom of God go forth, that the kingdom of heaven may come” (D&C 65:6). How can I invite others to come unto Christ? Begin by showing the class something that is very important to you (it could be a special gift someone has given you, something that you really like because it works really good, like a your favorite lip stick or such). Tell them why it is important to you or why you love the thing you brought. Explain that there is something that is even more important then those things and that you love even more. Show the class a Book of Mormon. Have the class members think for a minute about how blessed they are to have the Gospel in their lives. Explain that just like when we get something we think is really neat and important and we want to share it with others, this is also how it should be with the gospel. Invite a young women to read the two paragraph's from Elder Ballard's talk, “Put Your Trust in the Lord” (see printable below). Share an experience you have had with listening to the inspiration Heavenly Father has given you in regards to sharing the gospel. Invite the young women to share their experiences and to think of ways they can seek inspiration and share the gospel. 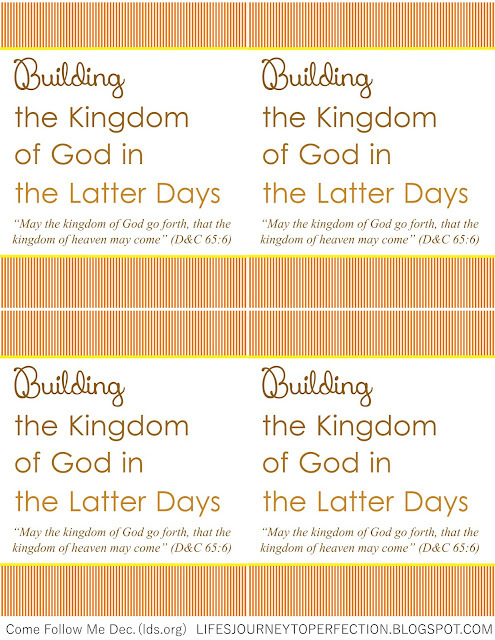 Give each of the young women a copy of the printable of Elder Ballard's talk. How does Heavenly Father want me to use my spiritual gifts? Begin by showing the class a wrapped gift that you have brought. Invite one of the young women to open the box and read, "Spiritual gifts are blessings or abilities that are given by the power of the Holy Ghost. As children of Heavenly Father, we all have spiritual gifts. God gives us these gifts so that we can serve others and help build His kingdom. He has commanded us to diligently seek out and develop our spiritual gifts." Write the following questions on the board, "What are spiritual gifts? ", "Who receives Spiritual Gifts? ", and "What are we to do with these spiritual gifts?". 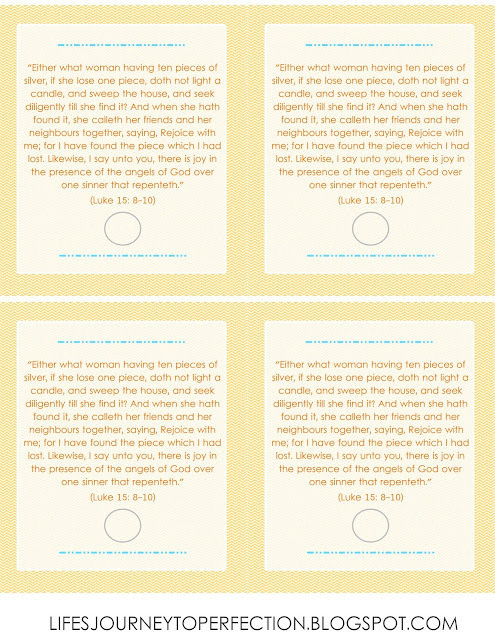 Invite the YW to ponder these questions throughout the lesson. Ask the YW to recognize a spiritual gift that they have. Have them think about how they can further develop their gift and how they can share their gift with others. Discuss these things. Invite the YW to help answer the question on the board. How can I prepare to establish a Christ-centered home? Show the movie, "A House of Order, A House of God" Draw a big house on the chalk board. Read the following quote to the class, "Building the kingdom of God begins with building a righteous home and family. The family is the most important unit of the Church. As members of the Church, we should establish a home where the Spirit is present. A Christ-centered home offers us a place of defense against sin, refuge from the world, and committed, genuine love. Whether our home is large or small, it can be a “house of prayer, a house of fasting, a house of faith, a house of learning, a house of glory, a house of order, a house of God” (D&C 88:119)." Invite the class to think about what kind of things they can do to help their home be a Christ-centered home. Invite one YW at a time to come up and write inside of the chalkboard house, something she could do. Discuss each one as a group. Share any experiences you have and would like to share on building a Christ-centered home. What can I do to help new members of the Church? Play the video, "Missionary Work and Retention: Georgia Elias" Invite members of the class to discuss what the members of Georgia's ward did to help support her. Share an experience where you have helped a new member. Invite the members of the class to share ways they can help new members in their ward. How can I help my less-active friends return to church? Set up enough chairs for everyone who is on the role for your class plus a couple extra. After discussing past week's experiences. Ask class members to look around and see if all of the seats are filled. Then read the parable of the silver pieces found in Luke 15, "8 ¶Either what woman having ten pieces of silver, if she lose one piece, doth not light a candle, and sweep the house, and seek diligently till she find it? 9 And when she hath found it, she calleth her friends and her neighbours together, saying, Rejoice with me; for I have found the piece which I had lost. 10 Likewise, I say unto you, there is joy in the presence of the angels of God over one sinner that repenteth." Invite the youth to share what they feel is meant by the scripture. Invite the youth to discuss ways they can fill the chairs in their class. Give each you the handout with a silver piece (dime or quarter) on it. What is Zion? Write the word, "ZION" on the board. Draw three lines coming off of the word Zion. Invite a class member to read this quote, "Zion refers to the Lord’s people who are of one heart and one mind and dwell together in righteousness. We can establish Zion by building unity and spiritual strength in our homes, wards or branches, and communities." (Come Follow Me: What is Zion). Ask the class what Zion is? Write at the end of each line one of the following phrases: One Heart; One Mind; Dwell together in Righteousness. 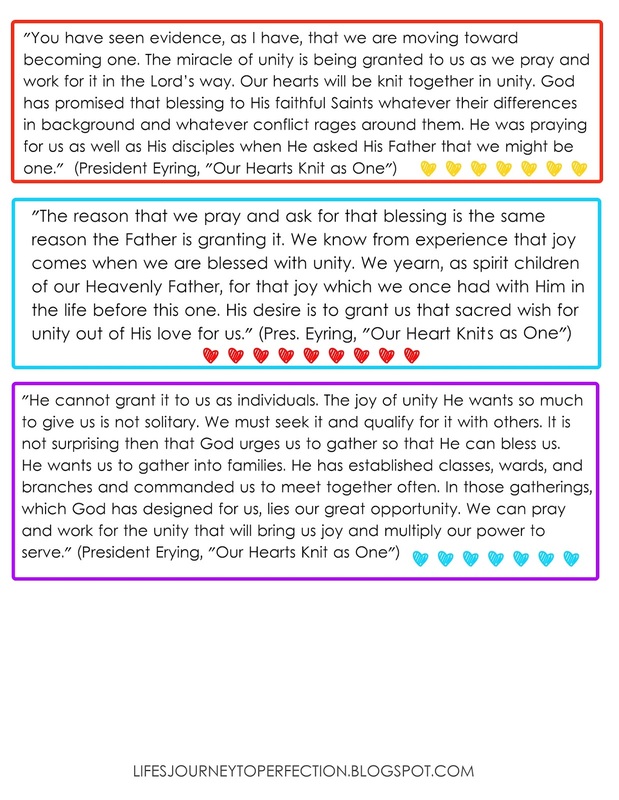 Divide the youth into three groups and give each group a quote from President Eyring's General Conference address, Our Hearts Knit as One. See printable below. 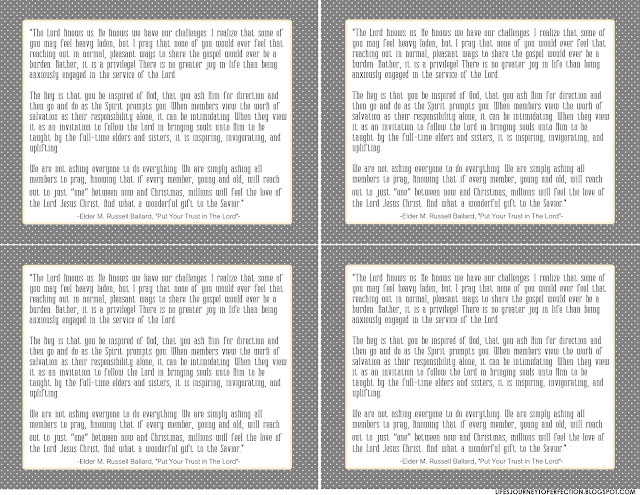 Invite the youth to read the quote to themselves and ponder it for a moment and discuss it as a group. Then invite the youth one group at a time to read their quote and share their thoughts about it. As the youth read their quote draw a line connecting each of the strait lines together (like a web). On each of those lines write one of the following phrases from the quotes: "Pray and work for it in the Lord's ways"; "The reason...joy comes when we are blessed with unity. "; "We must seek it and qualify for it with others." Invite the youth to share ways they can "Build Zion" in their homes and in YW. Ask each class member to ponder over who in their family they could strengthen their relationship with, pray for help from Heavenly Father and work at building unity. 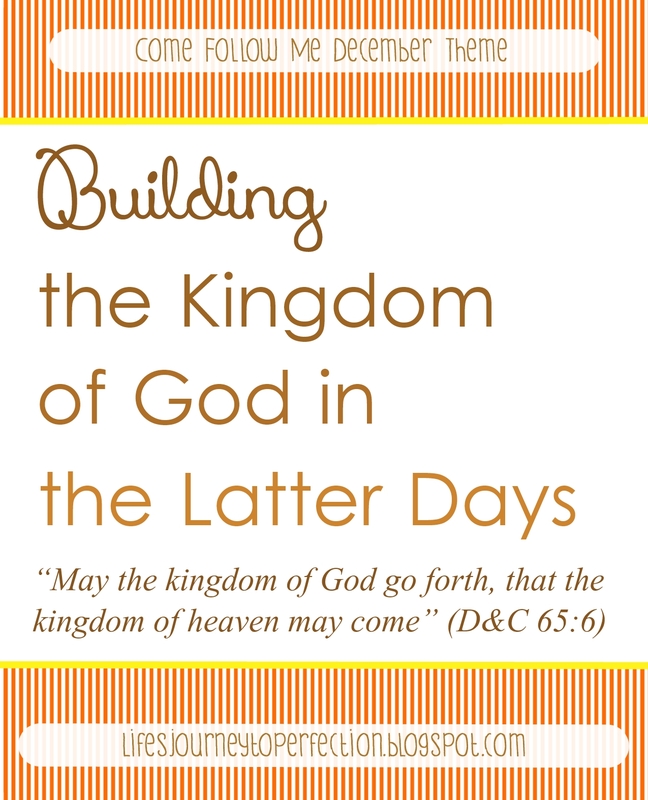 How can I participate in the hastening of the Lord’s work? Give your youth the link to the Hastening the Work of Salvation webpage the week before this lesson. Invite the youth to explore the page throughout the week and come prepared to share something they found in-regards to hastening the work. Write the phrase, "Hastening the Lord's Work" on the board. Invite the young women to come up and write what that means to them on the board. Discuss what they have wrote. Invite the young women to choose one of the videos on the Hastening the Work of Salvation webpage. Watch this video. Discuss the video. Discuss ways social media can be used hasten the Lord's Work. Christmas: How can I share my testimony that Jesus Christ is the Son of God? Play the video: "What Shall We Give?" Invite the youth to take a minute to think about two questions. Question 1: "What shall I give? "; Question 2: "How can I share my testimony that Jesus Christ is the Son of God?" Invite the class to discuss their answers to those two questions. How can I learn to serve more effectively in the Church? I love the idea on lds.org about the magnifying glass!! Just follow the link for this lesson and scroll down. How can I become a better leader? Write the word Leader on the board. Invite the youth to take a minute to think about someone they think is a good leader. Have them further ponder about what qualities the person has that makes them a good leader. Invite the class to share their thoughts. Place a picture of the Savior on the board. Invite the class to share some qualities the Savior had. Write those qualities on the board. Place a picture of President Monson on the board. Invite the youth to share what qualities President Monson has. Point out that many of the qualities that President Monson has are the same as the Savior. Invite a youth to read the account in Matthew 20:20-28. Invite the youth to share how the Savior invites us to lead. How can I become a better teacher? Write the following three phrases on the board: "Teach as the Savior Taught"; "Teach by the Spirit"; "Methods of Teaching". Invite a youth to read what it says in the "True to the Faith" booklet under "Teaching the Gospel". 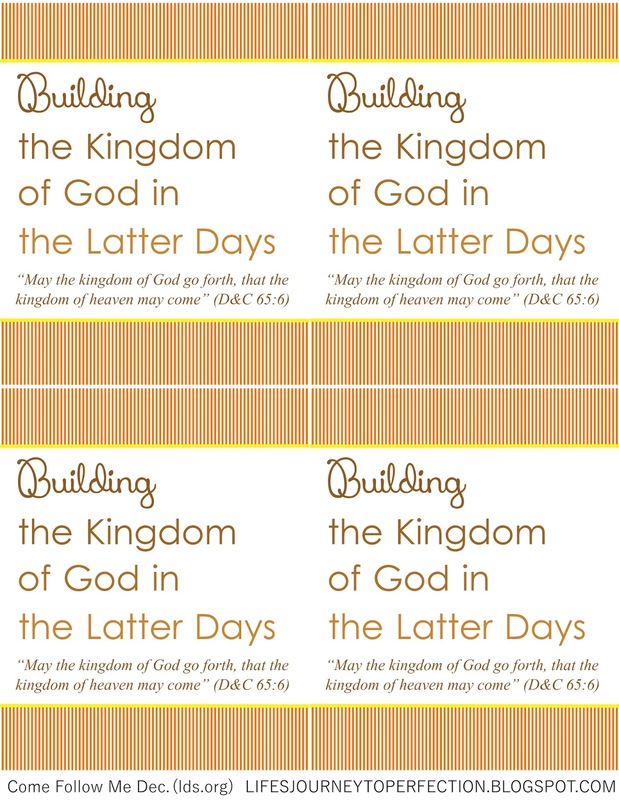 Discuss how the Savior taught and how we can pattern our teaching after his. Next invite a youth to read what is says under "Teaching by the Spirit". Discuss how we can teach by the Spirit. Last, invite a youth to read what it says under "Methods of Teaching". Discuss with the you what methods are the most interesting to them. How do they like to learn? What are some methods they could use to teach others. What are effective ways to share the gospel with others? Write the question on the board, "Why should I share the Gospel". As members of the class walk in give them a piece of paper and a marker. Invite them to write their answer to this question. Invite them to place their papers on the board. Discuss with the class why we should "want" to share the gospel. Share an experience you have had with sharing the gospel. Play the video, "Sharing Your Beliefs" Invite the youth to discuss the different ways in the video by which the Gospel was being shared. Discuss what other ways they can share the gospel. 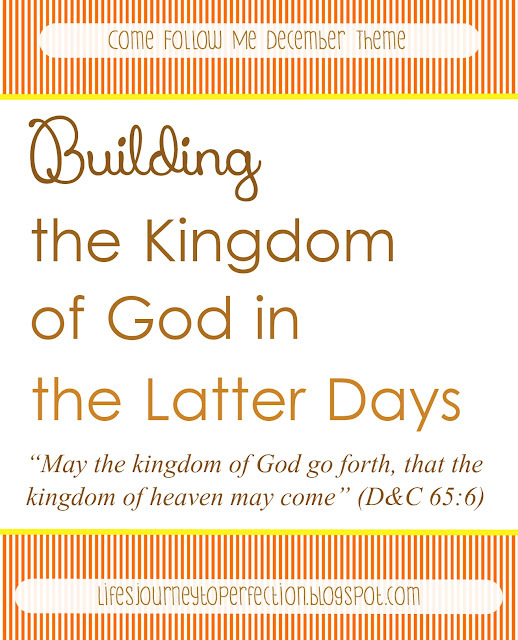 What can I learn from the scriptures to help me prepare for the Second Coming? 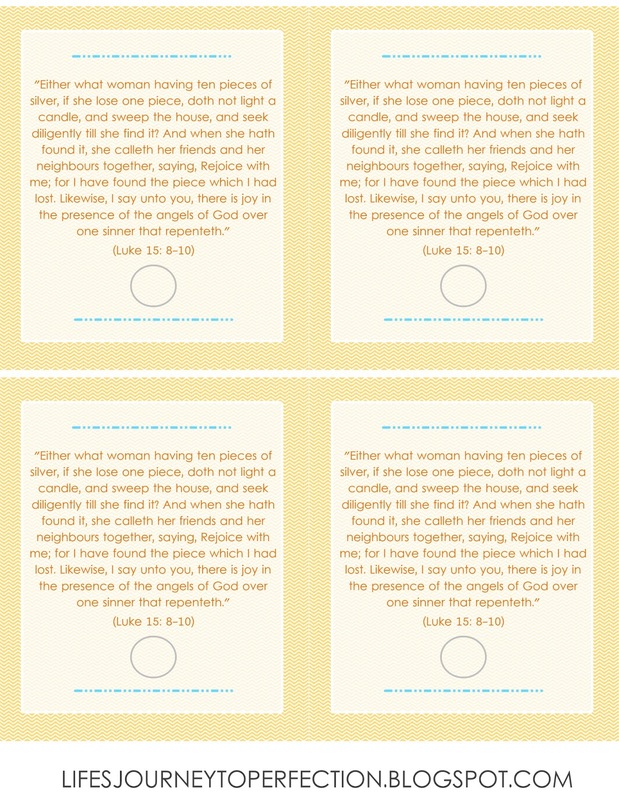 Give each youth a piece of paper, invite each youth to write down some questions they have about the second coming. Invite the youth to listen and search for answers of their questions throughout the lesson. Then follow the rest of the lesson idea found at the lesson link above. The one I like is reading, "Second Coming of Christ" in the True to the Faith booklet. Elder Ballard's Talk, "Put Your Trust in The Lord"
"Our Hearts Knit as One"
Hi! Thanks for your great ideas. I was wondering where this quote came from? "Building the kingdom of God begins with building a righteous home and family. The family is the most important unit of the Church. As members of the Church, we should establish a home where the Spirit is present. A Christ-centered home offers us a place of defense against sin, refuge from the world, and committed, genuine love. Whether our home is large or small, it can be a “house of prayer, a house of fasting, a house of faith, a house of learning, a house of glory, a house of order, a house of God” Thank you! Thanks! The quote comes from the Come Follow Me page, here's the link: https://www.lds.org/youth/learn/yw/building-up-the-church/home?lang=eng It is the first paragraph at the top of the page. If citing it, I would just say, "Come Follow Me Lesson Topic: How can I prepare to establish a Christ-centered home?" or from the "Come Follow Me Page".